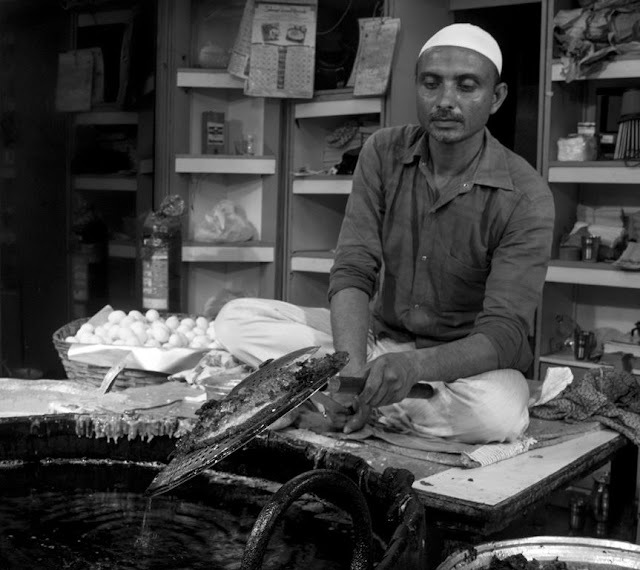 The Malpua fryer on Mohammed Ali Road famous for its street food. This gentleman looks fairly relaxed doing his job. Maybe that's why the food is so good? Great shot - perfect framing! We have street food only when there is festival... or on the markets three times a week.